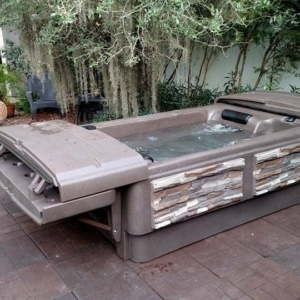 Tuff Spas come with the patented Tuff Top Cover option. 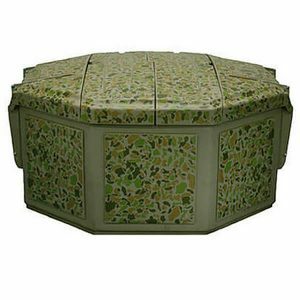 The Tuff Top Cover is the worlds only hot tub cover that coverts into a shelf/bar when open and comes with a LIFETIME WARRANTY so it will never need to be replaced. • 110V/220V, can plug into existing outlet or use existing 220V spa line. • One piece design that can set on any flat firm surface. • One piece design holds heat in like a thermos and keeps rodents out. 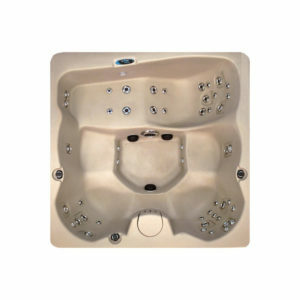 • Large side access panels around the entire spa for easy access to all equipment and plumbing. • Two speed pumps for maximum efficiency. • LIFETIME WARRANTY ON THE ENTIRE SHELL SURFACE!